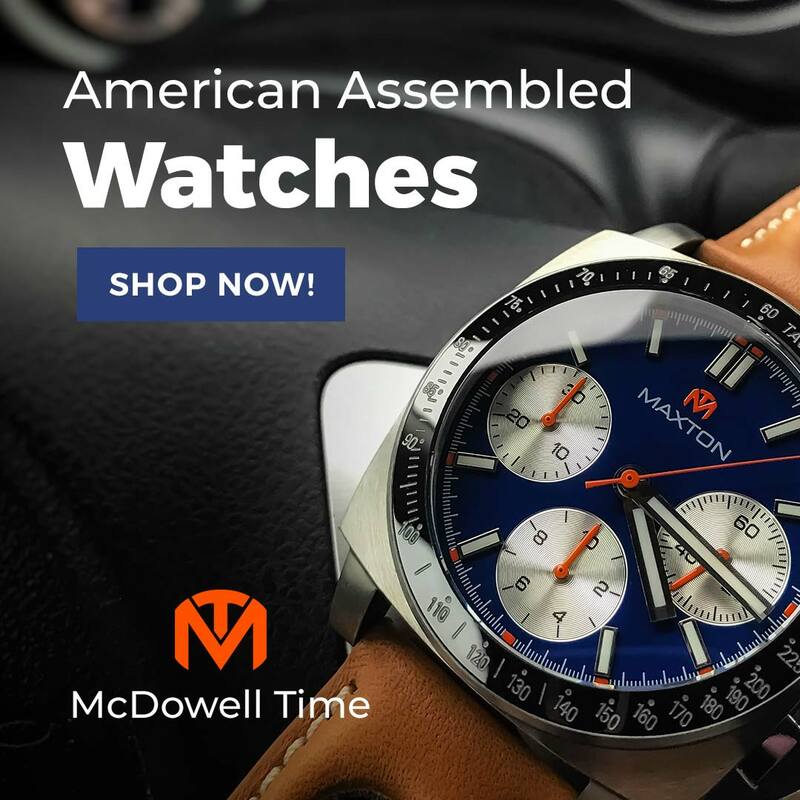 When readers visit The Time Bum, they expect to learn about cool watches that I have thoroughly researched and evaluated. They will gaze upon my magnificent photographs, marvel at my rich historical narrative, pore over the exhaustive technical data, and revel in my witty banter. Well, mostly. On a good day I only deliver a fraction of that promise. Today I have the temerity to present a watch I know absolutely nothing about. Seriously, this time I am asking you for all the information. 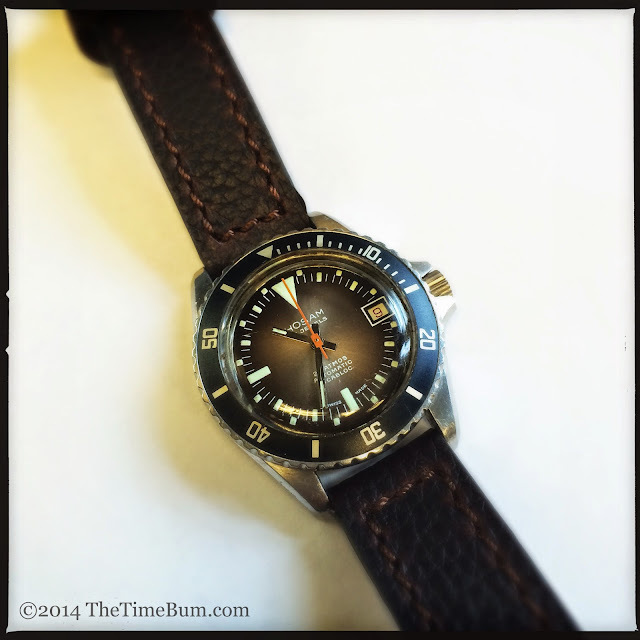 You see, I went and bought an old Swiss dive watch called a Hosam, but what the heck's a Hosam? I've never heard of the thing, and my research has unearthed only the barest trace of information. As far as I can tell, Hosam Watch Ltd. of Bienne, Switzerland, was registered as a trademark by Hoga Watch Ltd. in 1955. They made wrist watches and pocket watches. 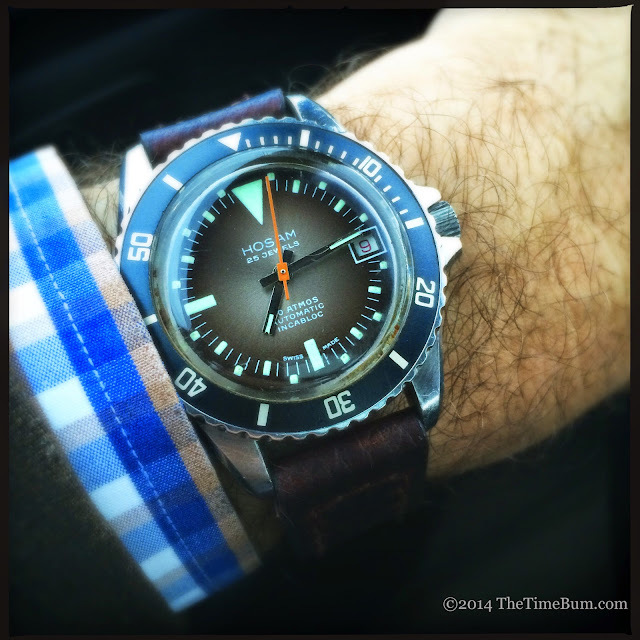 At some point in the 1970s, they sold professional dive watches that were built by, and co-branded with, Squale, but my watch is not one of these. In 1972 Hoga merged with Auguste Reymond SA of Tramelan, Switzerland (ARSA), which is still in existence, although the Hosam brand is long defunct. 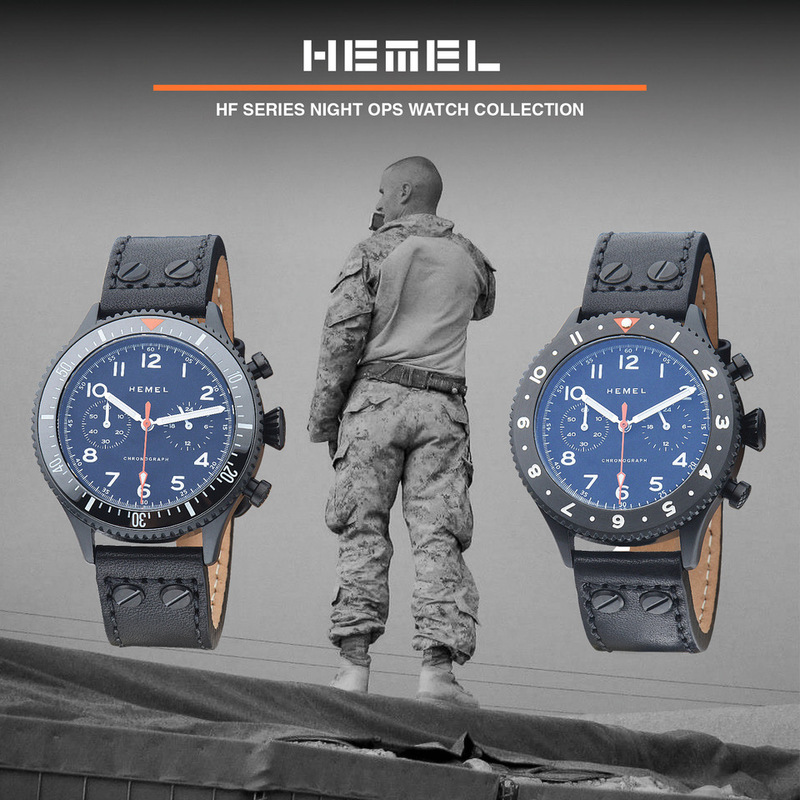 I knew none of this when I stumbled upon this watch while browsing WatchRecon.com. A seller in Budapest listed it on the Watchuseek Sales Forum for $200. 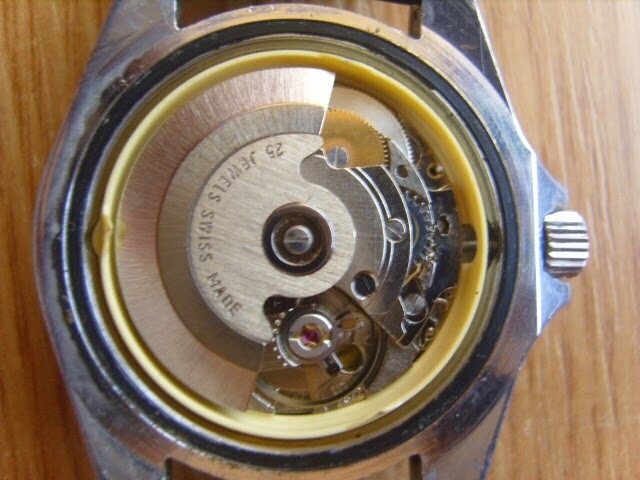 He had little information himself, but he knew it had an ETA 2872 in good working order, and he posted clear pictures of the watch and its movement. After it languished awhile, I reached out to him and negotiated a lower price. Ten days later, it arrived on my doorstep. The round, 37mm case is brushed on top with polished sides, and bears the marks and dings of normal wear. The sides are flat with a beveled edge that travels the length of the watch and along the crown guards. The lugs taper to an 18mm gap. There is only a slight arc to the profile. 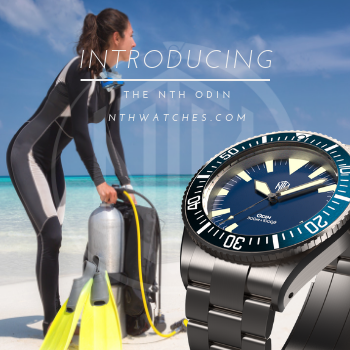 The case back is simple, declaring its Swiss build, stainless steel case composition, Incabloc shock resistance, 20 atm water resistance, and antimagnetic shielding, which is an impressive set of specs. It also bears the number 754, but as this is stamped and not engraved like the other information, I suspect it is a serial number, not a reference number. The screw down crown operates smoothly. It has three positions for setting time, quick set date, and winding. It is unsigned, but shows light wear consistent with the case so I believe it to be original. ETA produced the 2872 in the 1970s and early 1980s. 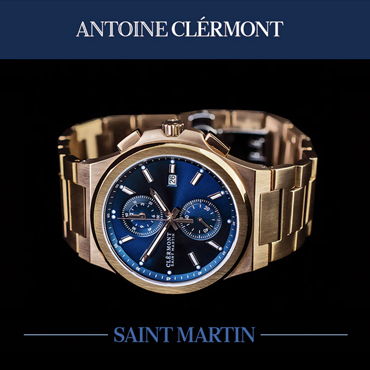 It is a 25 jewel automatic with a 40 hour power reserve and 28.8k beat rate, providing a smooth sweep. The movement winds and sets smoothly. I had modest expectations for accuracy, but so far it is only losing about 30 seconds per day. The high dome acrylic crystal has a hairline scratch or two, but nothing that can't be polished out. 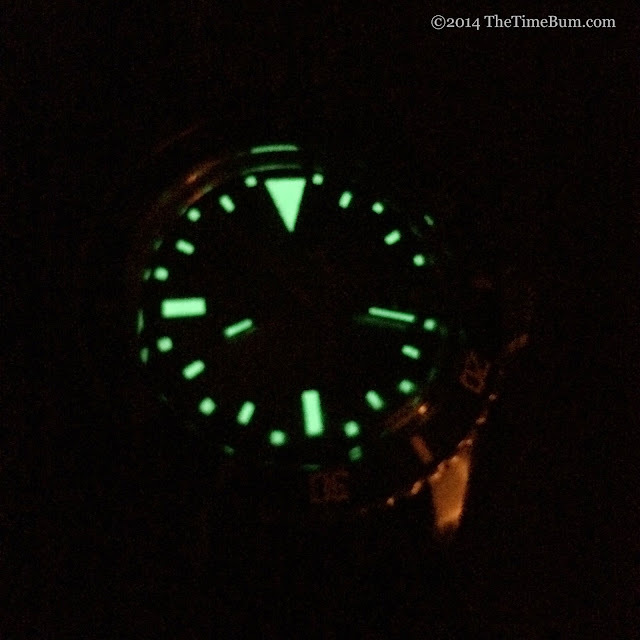 The dial and hands are perfectly clean with green lume that still generates a bright, but extremely short-lived, glow. I was watching it disappear as I tried to snap the picture. 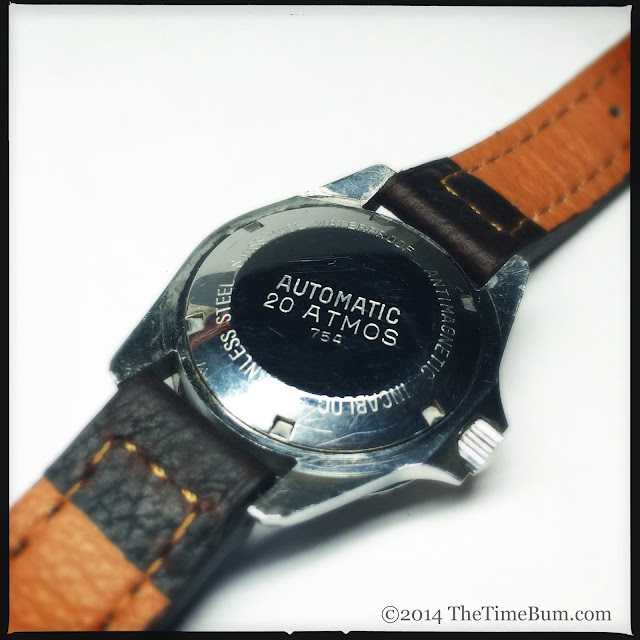 This is not surprising for an old watch, but it looks hot for those first 40 seconds! The dial is lovely grayish brown color with a sun ray fade effect, shimmering in the light and appearing lighter at the center. The layout resembles that of the Rolex Explorer II 1655, "Steve McQueen" with its oversize inverted triangle and staggered index. A white framed 3 o'clock window shows the red-on-white date. The polished hands are straight, square end batons with split tips filled with lume. The second hand is orange. A rectangular base anchors it at the pin. Somehow, they managed to squeeze some text into here as well. It is printed in white, the delicate and modern sans serif typeface more wide than tall. The bezel is clean and undamaged. Much to my delight, the insert is lovely dark blue in a shade falling somewhere between navy and midnight. It does not move. 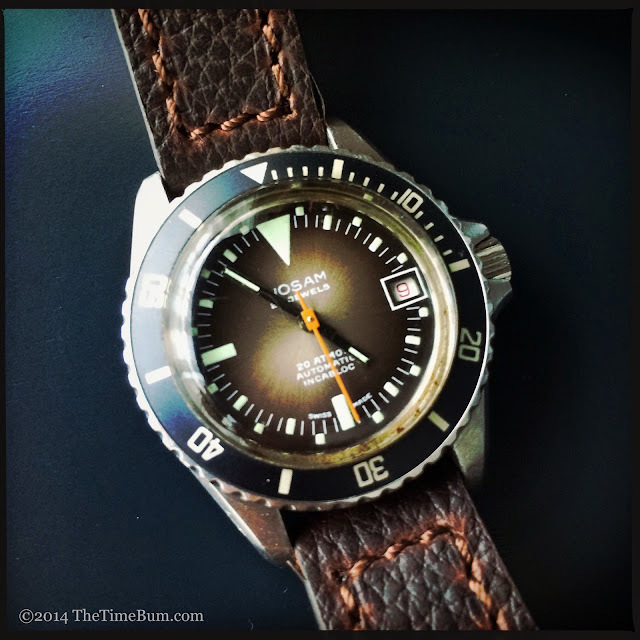 The bezel has a shallow coin edge, and one would think a 200 meter watch would have a functional dive timer, but I don't know if it is frozen by design or inactivity. Out of respect for its age, I have left it alone. The printing is a pale beige color that is so even, I suspect it was always this way and not white paint that yellowed with age. Regardless, the slightly softer color fits the blue/brown color scheme better than a bright white would have. 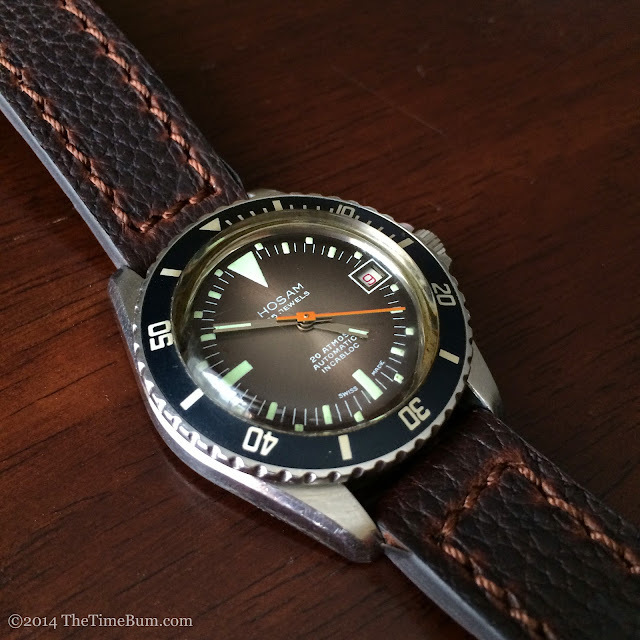 It arrived on a black rubber tropic style strap that I immediately replaced. I found the blue/brown colors worked best with brown leather so I chose a dark and oily Crown & Buckle Chevlon from the strap drawer. The Hosam's modest size and sophisticated palette make it a natural with a suit, and this is likely the way I will use it from now on. 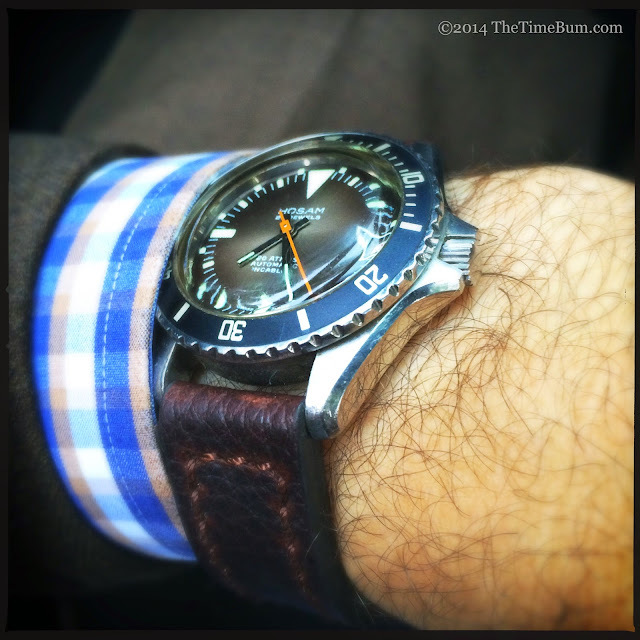 Heroic depth rating aside, it is unwise to test the water resistance of a 30 to 40 year old watch. Indeed, a glossy crocodile print dress strap may be in order as the old survivor enjoys its retirement in the comfort of The Time Bum's preferred, climate controlled environment. So there you have it. I found a well preserved timepiece of obscure provenance with a quality movement and took a chance. Now, for about the price of a common department store quartz, I have a unique Swiss made automatic. I just wish I knew more about it. I don't know much about the manufacturer, I have no model or reference number, I'm not even sure which decade it's from. For the purpose of my enjoyment of the watch, it really does not matter, but it is a minor mystery just begging to be solved. If you have any information, please comment below.